YouTube – Home to viral sensations, talking cats, Charlie’s finger and not to mention irritating music videos – with some holding over two billion views! From its launch in May 2005, YouTube has developed, changed and re-formatted over the years. As a platform, YouTube has become a multicultural hybrid media space, which supports, over 1 billion users that generate billions of views in one single day! An announcement back in January 2015 relayed to the world what direction Google were planning on taking YouTube (Blitz, Mark) – to the realms of virtual reality and a more immersive video experience. Ignoring 3D video and jumping straight to 360-degree videos are allowing brands (Bud Light & Tomorrowland) and ‘Youtubers’ alike (e.g. FunForLouis) to build a fully virtual reality experience.Google initially supported third party camera manufacturers; Kodak, Ricoh Theta and Giroptic’s 360 cam. However the recent launch of the GoPro Odyssey in partnership with Google, is the most exciting prospect in the 360 degree video landscape. Now lets just stop and think about this for a second, we would have the ability to explore cities we always wanted to, submerge ourselves in seats at some of the most prestigious theatres of the world or maybe even explore conservation areas in the Amazon rainforest. The possibilities of this technology truly could be endless and all would be available at our fingertips! Previously limited by the intended shot that the cameraman, brand or director aimed for. Now we are coming into a new wave of entertainment that will allow the audience to feel a sense of an adventure and the freedom to explore! But how’d you do it? This is where it becomes rather complicated and potentially incredibly expensive. Firstly, the video needs to be shot in an ‘equirectangular format’, which is a panoramic format that consists of just one single image that has been shot with the width exactly double its height. To truly achieve a clean, streamline shot you are going to need the equipment. Kodak’s SP360 is one of the cheapest consumer product on the 360 degree cameras market, however, it is still not cheap RRP at nearly €270 (Goldman). Unsurprising enough, the low entry Kodak, has been reported to have functionality issues with it. This is when the mighty GoPro’s Odyssey appears, at the other end of the spectrum; the camera is bought on an ‘application’ basis from ‘industry professionals’. GoPro, in partnership with Google, are charging $15,000 for their 16 synchronised HERO4 cameras in their panoramic bracket. Creating your own 360-degree video can easily be crippled by the huge financial cost on owning a camera to produce the results. Therefore it seems the change in YouTube’s video market is reserved to the more successful YouTube Channels, marketers and brands. For these key actors, the new format allows them to create something more than just a video to engage with their consumers. According to YouTube’s blog, early stages of 360-degree videos proved to have a 36% higher view-through rate than the standard video format (YouTubeCreatorBlog) YouTube have created a new narrative medium and a new form of communication that combines elements of interpersonal and traditional mass communication for a digital society. These core three stakeholders are not the only ones who are able to utilise this new technology format, but educational staff have the ability of exploring from the classroom with their class. Google have launched ‘Google Expedition‘ which allows you to do just that! In a world of devices and distractions, developing a new way to engage with children in the classroom seems essential to simply hold their attention. However, Google have currently not made it available to all, but instigated similar restrictions to the GoPro camera requesting individuals to apply via an ‘interest form’. This exposure to modern technologies can be a cause for concern; Heidegger’s ‘The Question Concerning Technology’ explored the ways in which our technology battles with natural sciences and how it alters our humanities perception on the world (Heidegger). Renowned Greek philosopher Plato created the ‘Allegory of the Cave’ in his book The Republic , in which he seeks to explain the nature of human reality. The cave is home to prisoners whom have been there since birth, immobile and are forced to look at a wall, which is consistently illuminated by the shadows of those who walk past. These shadows are mere projections of ‘real things’, but this is the only reality they have ever known, therefore they believe what they see. In a world of augmented reality and immersive video experiences; the next generation of children could ‘upgrade’ from the iPads in class as ‘educational tools’ and step into a whole new world through YouTube. Video experiences could truly portray a shadow of what we begin to assume as reality, with our consciousness having the ability to project itself into this virtual landscape. For potentially persuasive minds, such as those of adolescence, the true environment could begin to lose its colour. As the digital and physical world increasingly begins to merge, we move away from ‘digital dualism’, with technology playing a fundamental role in the way in which we think and act within society. The ‘being’ in humans could drastically change from what we know it. ‘A New Way to See and Share Your World with 360-Degree Video.’ YouTube Creator Blog, 13 Mar. 2015. Web. 9 Sept. 2015. Blitz, Mark. ‘Understanding Heidegger on Technology.’ The New Atlantis, n.d. Web. 10 Sept. 2015. Boland, Margaret. ‘YouTube Is Now One Step Closer Virtual Reality Videos.’ Business Insider. Business Insider, 24 July 2015. Web. 9 Sept. 2015. Bonnington, Christina, and gadgets. ‘You Can Now Watch and Upload 360-Degree Videos on YouTube.’ Gadget Lab. WIRED, 13 Mar. 2015. Web. 9 Sept. 2015. ‘Digital Dualism versus Augmented Reality – Cyborgology.’ N.p., 24 Feb. 2011. Web. 10 Sept. 2015. Garun, Natt. ‘Everything Google Announced at Google I/O 2015.’Google. The Next Web, 28 May 2015. Web. 9 Sept. 2015. GlobalWebIndex. ‘Digital Vs Traditional Media Consumption: Q3 2015 | Flagship Report Series.’ N.p., n.d. Web. 8 Sept. 2015. Goldman, Joshua, googleplus, and See full bio. ‘Kodak’s Pixpro SP360 Helps Expand Your Action-Cam Creativity.’ CNET, 3 Feb. 2015. Web. 13 Sept. 2015. Heidegger, Martin. ‘The Question Concerning Technology.’ N.p., 1977. Web. Henderson, Rik, and ArticlesTwitterInstagram. ‘VR Filmmakers Can Register for a GoPro Odyssey 360-Degree Shooting Rig Now, Works with Jump.’ N.p., 8 Sept. 2015. Web. 9 Sept. 2015. Hollister, Sean. 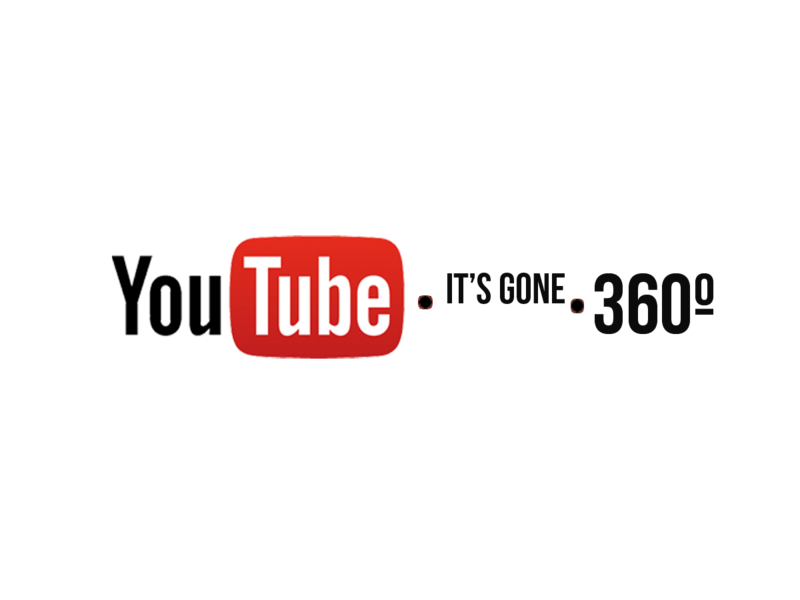 ‘YouTube’s Ready To Blow Your Mind With 360-Degree Videos.’ Gizmodo, n.d. Web. 8 Sept. 2015. Lopez, Napier. ‘Google Goes Big on Virtual Experiences with Expeditions, Jump and a GoPro Partnership.’ Google. The Next Web, 28 May 2015. Web. 9 Sept. 2015. Lopez, Napier. ‘Google’s New Cardboard Experiences Convinced Me VR Is Here to Stay.’ Google. The Next Web, 29 May 2015. Web. 9 Sept. 2015. Object, object. ‘About YouTube.’ YouTube. Web. 9 Sept. 2015. Pearcy, Mark. 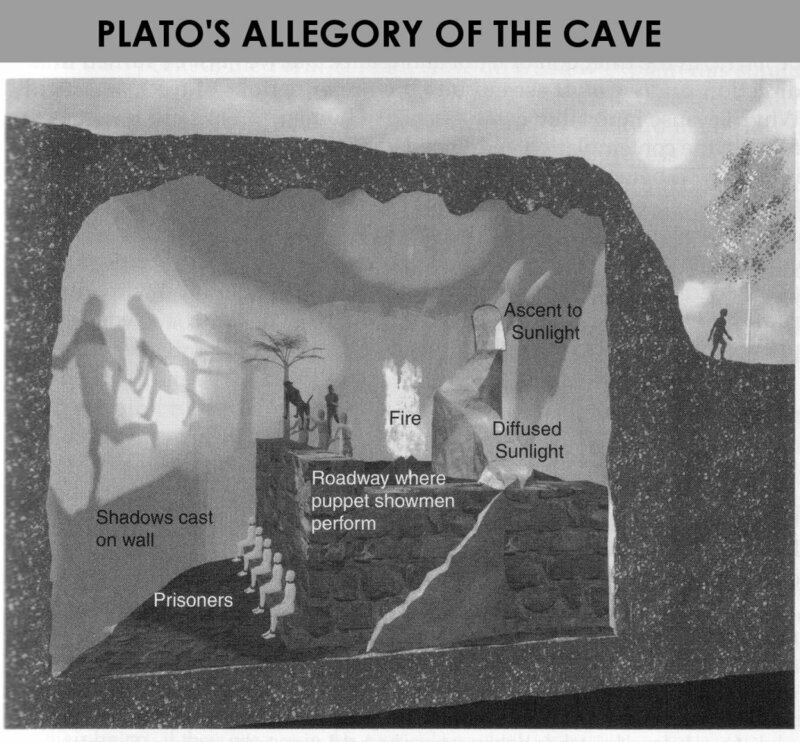 ‘The Allegory of the Cave by Plato: Summary, Analysis & Explanation – Video & Lesson Transcript.’ Study.com, n.d. Web. 10 Sept. 2015. Peterson, Tim. ‘YouTube Spins Up 360-Degree Video for Creators, Brands.’ N.p., 12 Mar. 2015. Web. 10 Sept. 2015. ‘Philosophy Professor Sees “Plato”s Cave’ in Today’s Technologies’. N.p., n.d. Web. 10 Sept. 2015. Pierce, David, and gadgets. ‘The Future of Virtual Reality Is Inside Your Smartphone.’ Gadget Lab. WIRED, 6 Mar. 2015. Web. 9 Sept. 2015. ‘See the Future of Video by Looking behind You: Introducing 360 Degree Video Ads.’ Inside AdWords, 22 July 2015. Web. 13 Sept. 2015. Smith, Andy. ‘YouTube 360 Degree Video: A Quick & Handy How-to Guide.’ Video Production Tips. ReelSEO, 11 June 2015. Web. 9 Sept. 2015. ‘World’s Most Versatile Camera | HERO4 Black Edition.’ N.p., n.d. Web. 9 Sept. 2015. ‘YouTube Help.’ N.p., n.d. Web. 9 Sept. 2015.